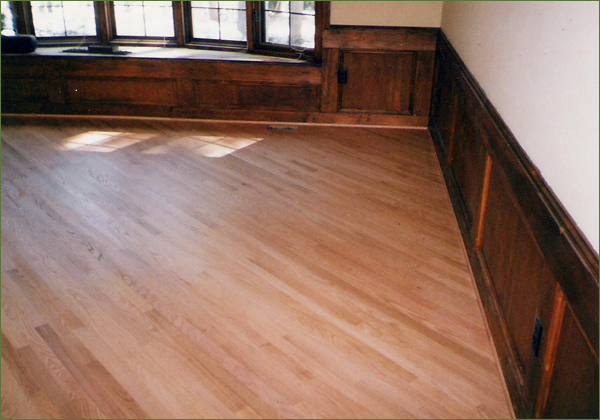 Maintaining a wood floor is very easy and taking care of your floor requires just a little effort. Most wood floors should last the lifetime of your home. All they need is a little preventive maintenance. That involves protecting the finish from two things - scratches and moisture. Follow these simple practices to keep wood floors looking good for years to come. Always use manufacturer’s recommended cleaning products or generic wood floor cleaners available at retail stores. Wipe-up spills immediately with a lightly dampened cloth, and then follow-up with recommended cleaning products. 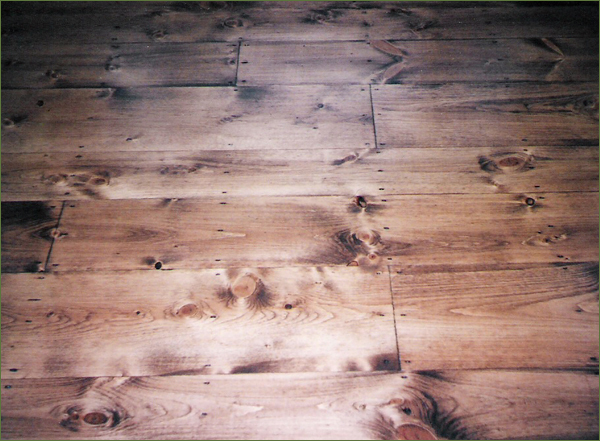 For stubborn stains, lightly dampen a soft cloth with manufacturer’s recommended or generic wood floor cleaners. Apply directly to the stain and repeat as necessary.
! -> Avoid using oils, waxes or furniture soaps, sprays or abrasive cleaners!
! 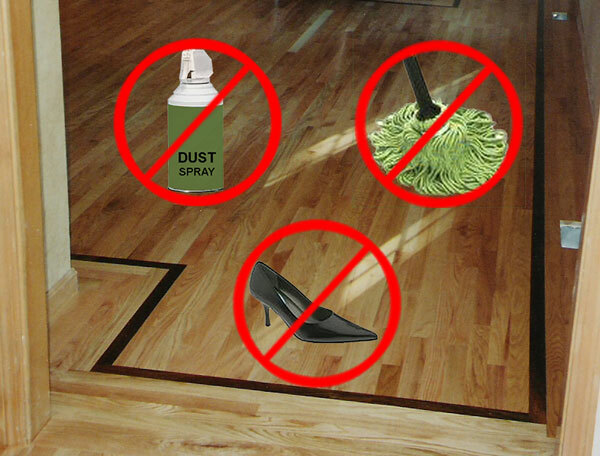 -> Avoid wet-mop or cleaning your wood floors with water or other liquids!
! -> Avoid walking on your floors with heeled shoes! When the floor loses its luster, your floor needs help. A top coat dressing may revive the floor’s appearance. If not, it’s time for the floor to be recoated - Call us for Help! Installation and Custom Design. Wish your floors look unique? 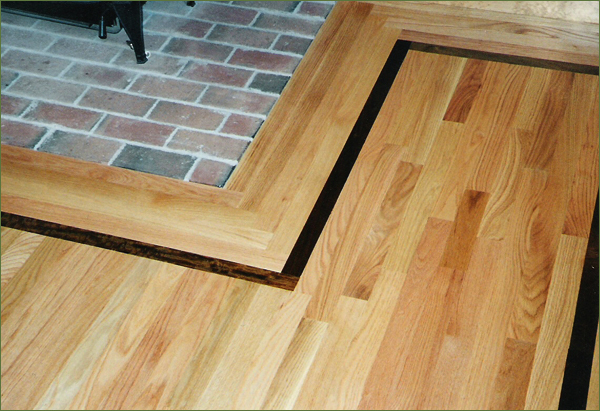 - We utilize the best practices of our over 30 years of experience to make your custom floors one-of-a-kind. Dust Free Refinishing. Using our highly effective dust collection system in a process of wood floor sanding, we insure that wood dust gets trapped eliminating pollution. 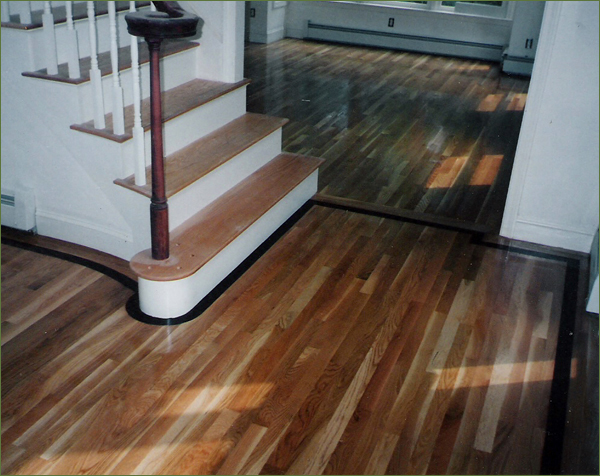 We guaranty dustless refinishing of your floors! Wood Floor Repair. Damaged wood floors? - We offer affordable pricing for high-quality services to repair and restore the beauty of your damaged floors. Screening and Recoating. Worn or dull floors? – We offer a cost effective method to restore the glow of your floors and bring dated floors back to life giving them a refreshed look.